Vernissage Tue. Nov. 3, 6:30 p.m.
Renefer's works included illustrated correspondence with his daughter - a unique testimony from a father to a daughter about life in the trenches. This bilingual exhibition presents the correspondence and works of Renefer during the Great War with each panel including text depicting the life of Renefer as an artist and soldier. This exhibition is designed from an artistic and educational point of view as photos taken by soldiers are connected to reference the works of Renefer, offering an opportunity to understand how he depicts and transcends the reality of a soldier's life. Awarded the label "Centenaire" by the French Government, this exhibit is organized by the Association Renefer, the Cultural Service at the Consulate General of France in Chicago and the Department of French at DePaul University with the support of the Institut Français. Pedagogic Tools for Secondary Ed. In the context of the centennial of World War I, the Cultural Services at the Consulate General of France in Chicago, with the support of DePaul University, First Division Museum â€“ Cantigny Park, and the Renefer Association, offers to French professors in the Midwest a series of teaching tools. These teaching tools are focused on the works of Renefer and Alban Butler, a French and an American soldier, respectively, who both fought in World War I in France and published illustrated works of their wartime experience in simple yet moving images and words. Students may compare and contrast the work of both artists as an exercise in language and cross-cultural understanding. Through a variety of educational activities, the teaching tools help students put the works of the two artists into perspective, gain a deeper understanding of the stakes of war, as well as acquire new French language skills. In addition, a general document provides the basic context of the war and the life of the soldiers. 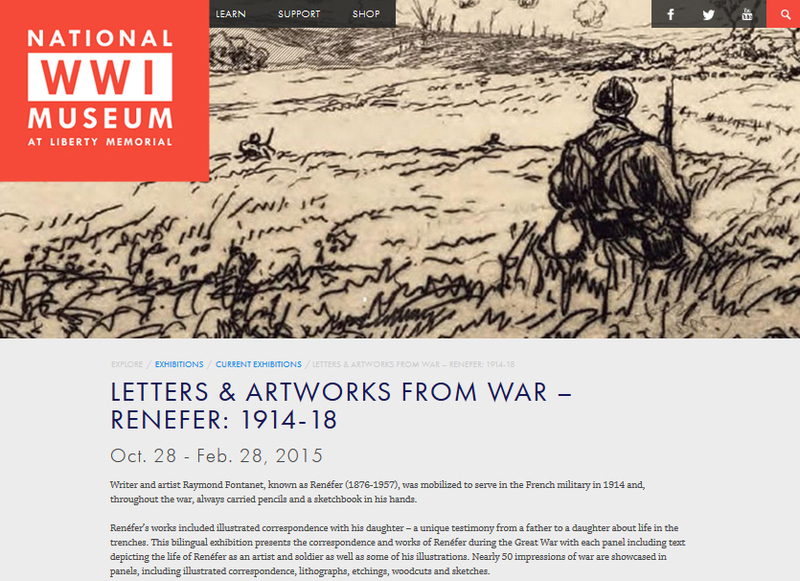 Letters and Artwork from the War - 1914-18". In partnership with the Consulate General of France - Chicago, DePaul University and the "Alliance Française"
Special WW1 Centennial - French President Francois Hollande deliver on Tuesday, November 11 at 10am, at the Elysée Palace the Award of "Petits Artistes de la Mémoire" to the winning classes, on the occasion of the commemoration of November 11, 2014. 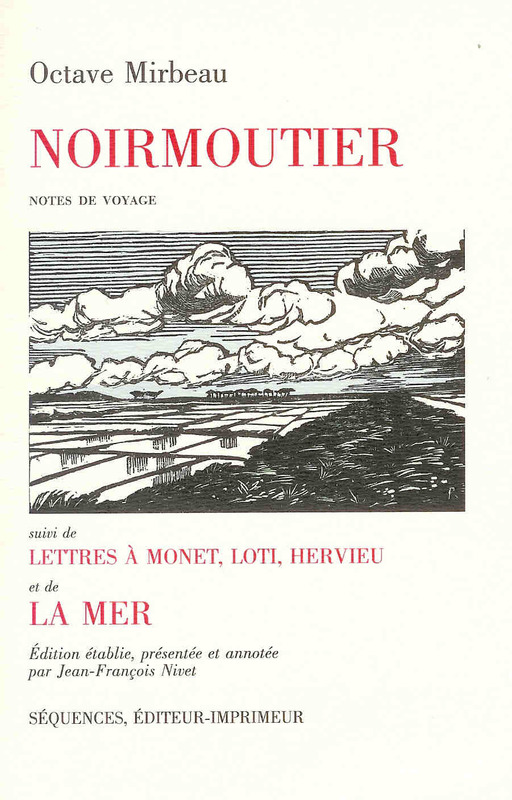 The notebook Renefer wrote for his daughter, "Belle Petite Monde", in which he described the life of the soldiers in the trenches is the inspiration for this national competition "Petits Artistes de la Mémoire"("Little Artists of Memory") organized by the National Office of Veterans and the National Ministry of Education. All information can be found on their site EDUSCOL. 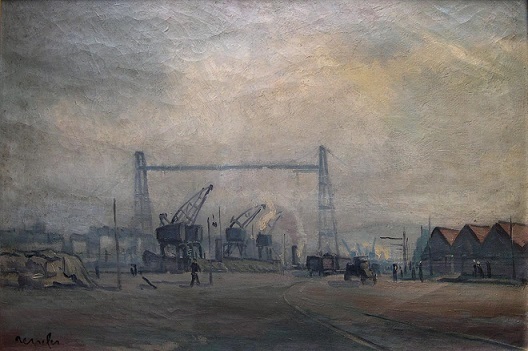 The artist Renefer was mobilized in 1914 and, throughout the war, carried pencils and a sketchbook to document his experiences. His letters to his daughter, written in French will be displayed along with his poignant drawings. Raymond Fontanet(1879-1957), known as Renefer, was 35 years old when he was drafted in the 1st Engineering Regiment in 1914. His children's stories of the frontline soldiers, les poilus (the unshaven), occupied a special place among the first-hand accounts of war in museums such as the Musée de l'Armée at the Invalides in Paris and the Historial in Peronne. Nearly 50 works of war are presented here from his illustrated correspondence, lithographs "Des Hauts de Meuse in Alsace" , his etchings of the Somme, Verdun, his illustrations for publishers, his woodcuts and sketches. The texts of Henri Barbusse, René Benjamin, Alexandre Arnoux ... complete the Renefer's writings. The exhibition is designed from an artistic point of view. Photos taken by Adam Franz, a physician at the front, ("Ce que j'ai vu de la Grande Guerre", Ed. AFP-La Découverte) are checked against works Renefer, offering the opportunity to understand how the artist restores its reality. 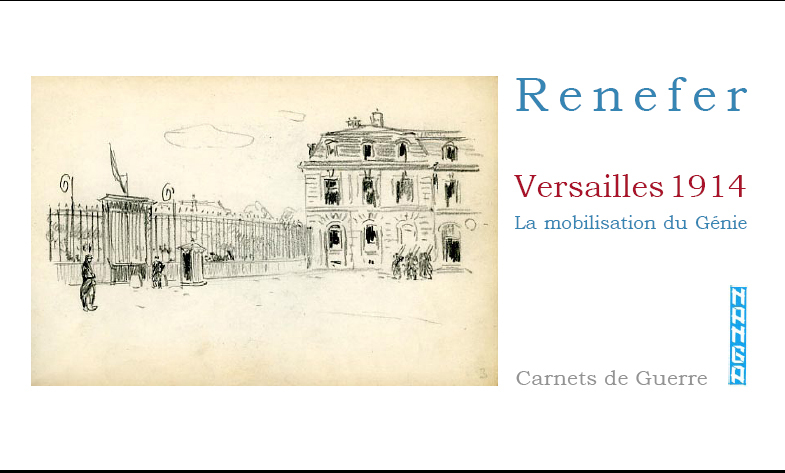 Conferences : Gabrielle Thierry, artist, expert of Renefer and curator of this exhibition offers lectures on Renefer to assess the extent of his work and writings before, during and after the war. 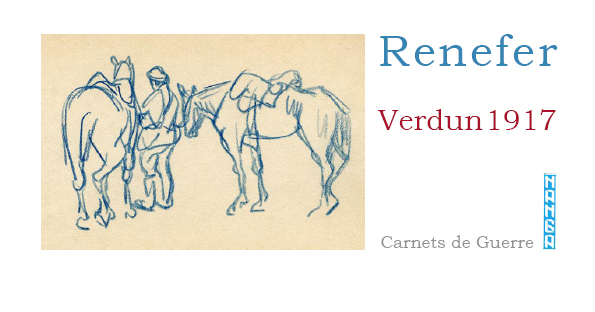 New publication of Renefer WW1's testimony intitled "Carnet de Poilu - Leur vie racontée aux enfants par Renefer", Ed. Albin Michel. 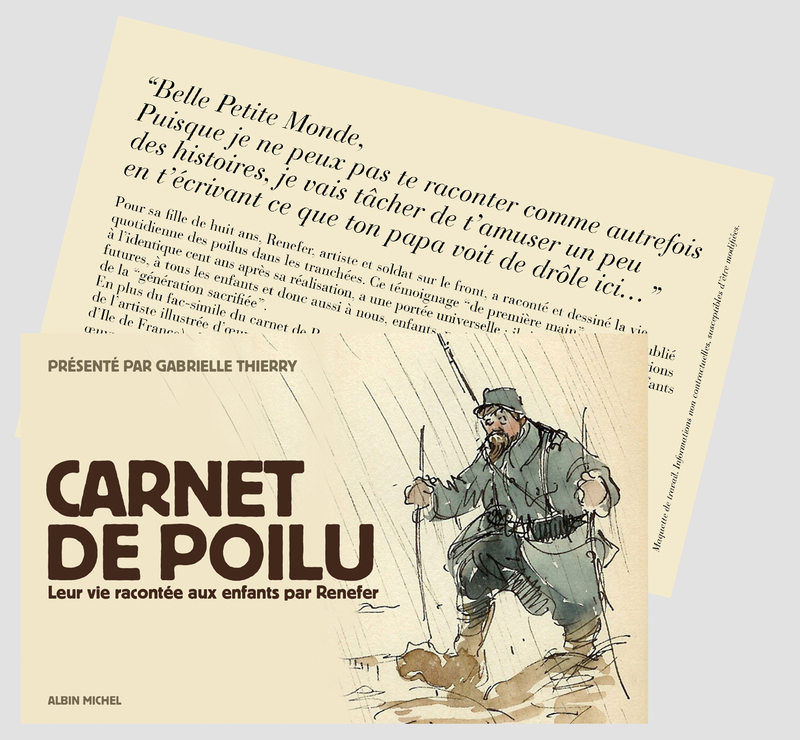 100 years later, this sketchbook, "Carnet de Poilu", with its very special light touch, lets us revisit the daily life of the poilus, the horror of the battlefield and the suffering of the civilians. Above all, it provides a timeless reminder of the importance of duty and memory. The sketchbook's final "Don't forget me" is adresses not only to Renefer's daughter but to future generations as well, to all children, and therefore to us,the children, the grandchildren and great-grandchildren of the "sacrified generation". An illustrated biography of the artist Renefer and a selection of artworks is added to the fac-simile booklet. Today, this booklet from the war takes a very particular position : published under an artbook, it gives the opportunity to approach the memory of the WW1 soldiers throughout artistic testimony. 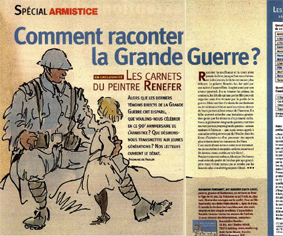 For the WW1 Centennial, this publication has been supported by the partners of the national conquest " Little artists for memory, the Great War seen by children". For the centennial of the First World War , Ministries of Education, Defence and Veterans Affairs will launch the conquest "Little artists for memory, the Great War seen by children" in all elementary schools in France. 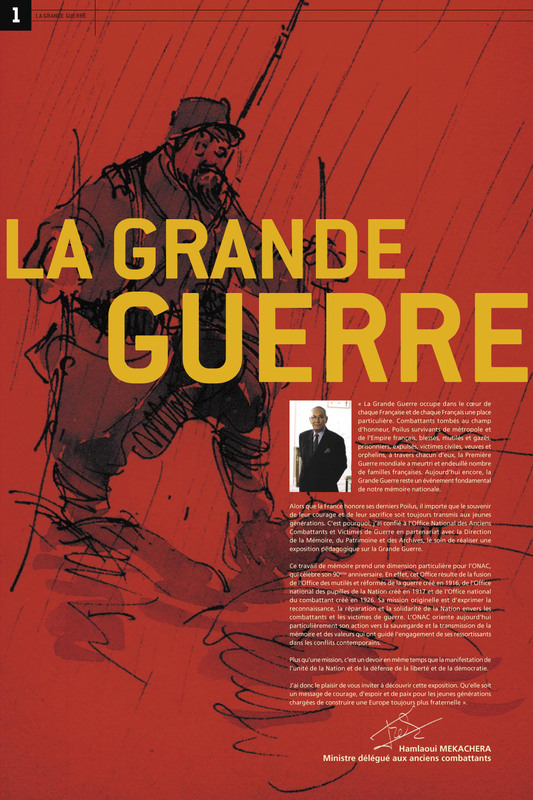 "Carnet de Poilu" is the inspiration source for this National Contest. The new session will be launched by the Ministry of Education and the French National Office for Veterans (ONAC) on september/october 2013. 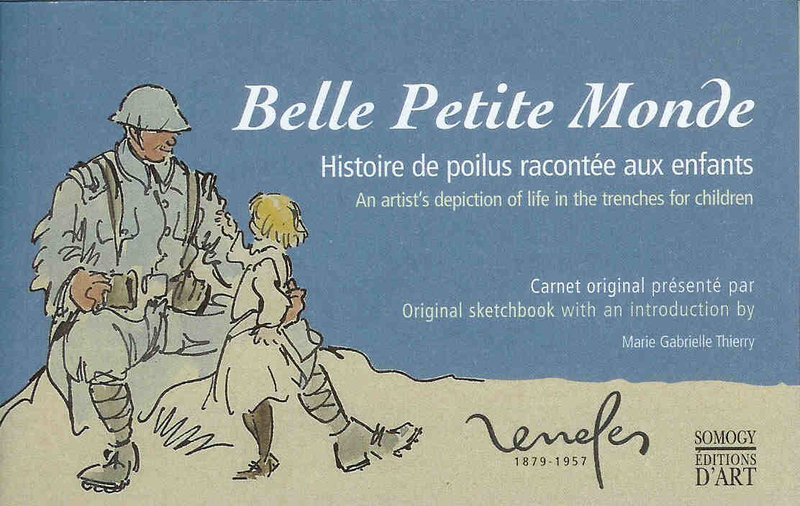 The contest proposes to elementary school's pupils (9 to 12 years old) to do historical researches on a WW1 soldier of their city and design a booklet of his story like in "Carnet de Poilu, the "soldat Renefer" did for "Belle Petite Monde". 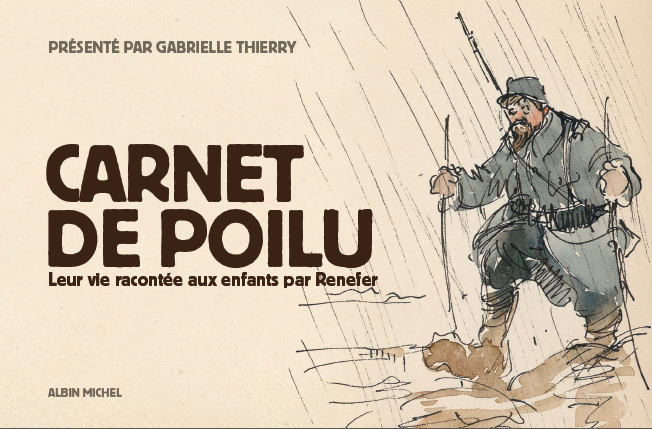 Since 2006, more than 25 000 pupils took part in the competition telling the story of a "Poilu" from their village or city. A Renefer Retrospective has been organised at Paris in 2009. 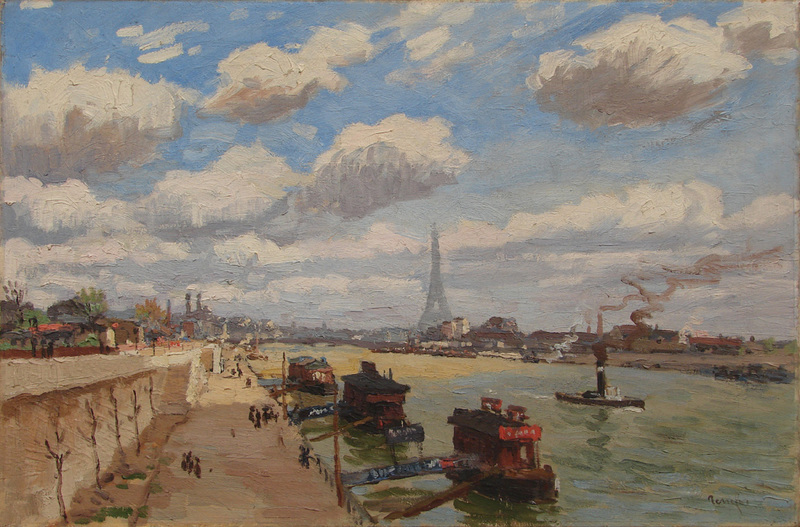 It was the opportunity to discover the rich work of this post-impressionist - drawings, engravings, illustrations and paintings on Paris, Brittany, and other areas of France. More information on this video presenting the exhibition. The first one presents the Soldiers in front of the Versailles' castle waiting for their draft in 1914. They are part of the firt Regiment of "Genie", based in Versailles. In the second one, Renefer has drawn soldiers and devastated landscapes around Verdun, after the battle, in 1918. Special issue How the WW1 can be transmited ? is entirely illustrated by Belle Petite Monde's nicest pages. 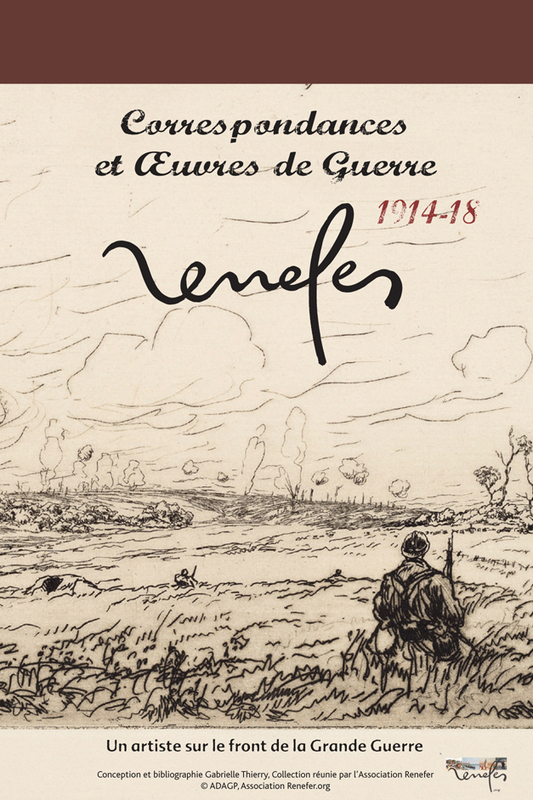 19 Renefer's engravings are presented in this landmark book on the WW1 . 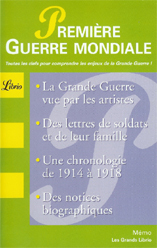 Inside : "Carnets de Verdun" (L.Loiseau et B.Bénesh), "La Grande Guerre vue par les artistes et les écrivains" et "Mon papa en guerre" (JP. Guéno). 'Study about the famous illustrated collections : Fayard, Ferenczi and BaudiniÃ¨re, a notable event of the French literature history. Wood engravings of Renefer is presented. In one month or in one year, the last french great war veterans will go. With him, the living memory of this conflict which has been the founding act of the Twentieth century, will disappear too. But this could as well be the time for the WW1 to really enter into History. The disaperance of the last "poilu" will represent a major upheaval; the french government has decided to organize a national mourning while families, association, artists and medias will pay their tribute and remember them. The booklet "Belle Petite Monde" and the war engravings of Renefer are presented as a battlefield's testimony center around the memory. This new session has been launched by the French National Office for Veterans (ONAC) during the commemoration of the 11th of november 2007 (armistice day). 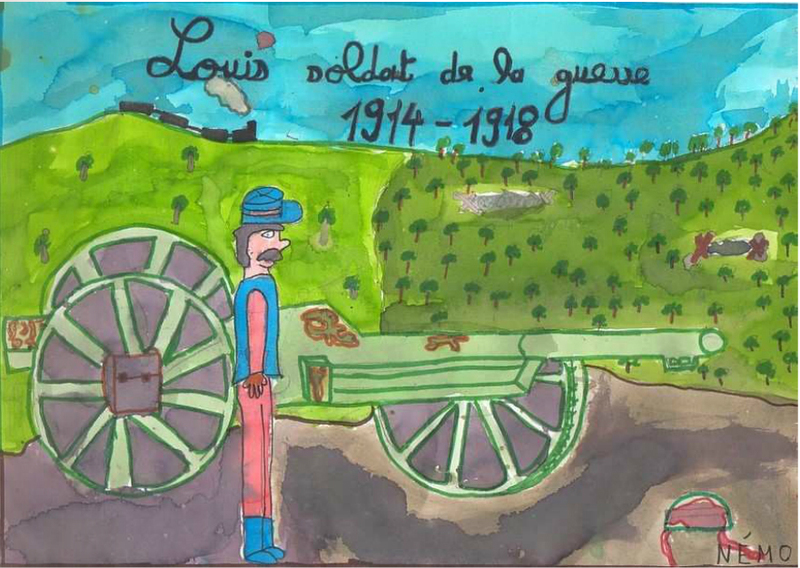 The contest, supported by the Ministry of Education,Xavier Darcos, proposes to the elementary school's pupils (9 to 12 years old) to do historical researches on a WW1 soldier of their area and design a booklet of his story like the "soldat Renefer" did for "Belle Petite Monde". The Museum of the Great War, in Péronne, used to exhibite the Renefer aquaforte engraved right on the battlefield. Today, its' a drawing of a dead horse that has been presented during the "The Animals'War" exhibition - Until the november 25. Results of the contest "Little Artists for Memory, the Great War seen by children". This contest, run by ONAC, the French National Office for Veterans, for the commemoration of the 11th of november 2006 (armistice day) is designed for the elementary school's pupils (9 to 12 years old). A national grand jury has selected 6 schools for the quality of their work regarding the historical, artistic and original content, including the degree of emotion expressed as well as the commitment of the participants in the project. The contest will be held every year and most notably in 2008 for the 90th anniversary of the end of the Great War. 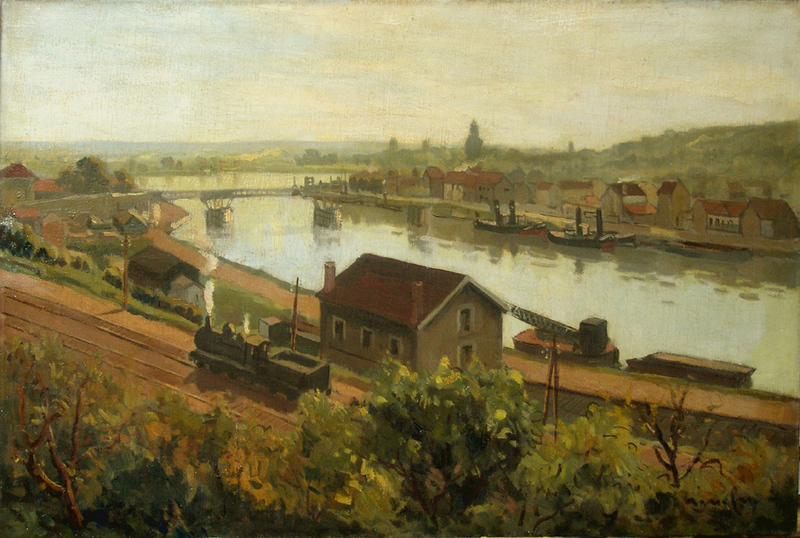 This is a good opportunity for Renefer's work to be presented again at the Pontoise Museum, he was a fervent actor of the Vexin Art Fair during 30's to 50's. The booklet "Belle Petite Monde" and the research work on Renefer is presented as a battlefield's testimony center around the memory. 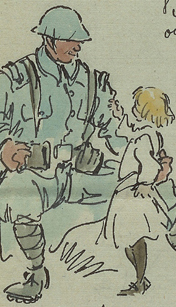 Throughout the 4 years he spent at the front as an anonymous soldiers, Renefer steadily send descriptions and drawings of the daily life on the battlefield to his eight-year-old daughter, whom he lovingly nicknamed "Belle Petite Monde". This sketchbook is a first-hand account of the Great War. This book is identical to Renefer's original work and is remarkable for its "I was there" quality. It is a moving and poetic gem meant for children. International Distribution by Flammarion and CDS,Inc. SUCCESS : Belle Petite Monde recognized as Best Sale for historical testimony and art book for a large public. Event managed with the World Center for Peace, the Meuse General Council, the Ducher Bookseller and the « 14/18 Meuse » Association. November 11, 2006 : French National Contest "Little Artists for Memory, La Great War seen by children"
Competition for 9 to 11 year-old children managed by the French National Office for Veterans (ONAC), The Renefer Association Renefer, the Great War Museum of Meaux, and the Departement of the Memory, Heritage and Archive of the French Ministry of Defence (DMPA). Goal : To preserve and pass on the Great War veterans' memories to the youngest generation. 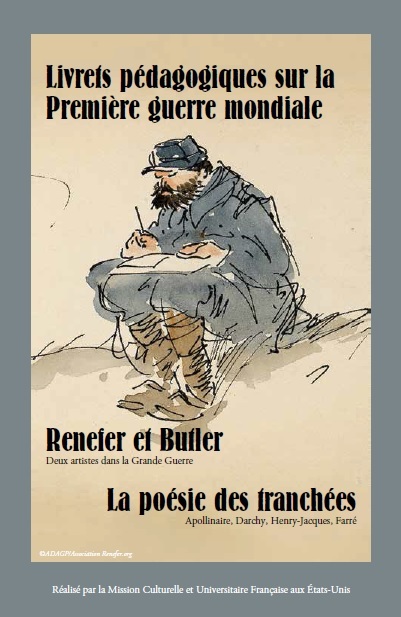 Each class writes and illustrates a "notebook of drawings,poems and	text relating to a story of a Great War soldier, such as Renefer's "Belle Petite Monde". Introduction - Writers and Painter - The Great War Heritage. The exhibition opened on april,5 in the Hall of Honor of the Museum of the Army, (Hotel National des Invalides), with speeches by Mr Hamlaoui Mekachera, Minister for Veterans Affairs and Mr.Guy Collet, General Director of ONAC. 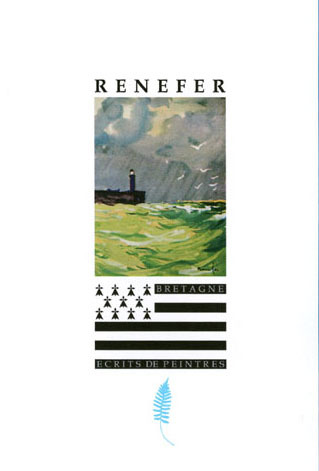 The Renefer Association Renefer exhibited some interesting works from its collection including "During the fight, Somme 1916" port-folio and the booklet " Belle Petite Monde". 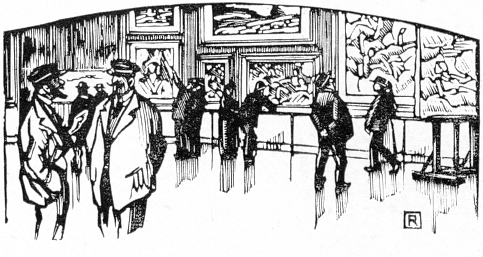 Renefer 's works are shown on the "The Bleuet of France" exhibition panels too. The Battle of Verdun Web Site funded by the Meuse General Council and the Verdun Memorial presents engravings and drawings by Renefer. 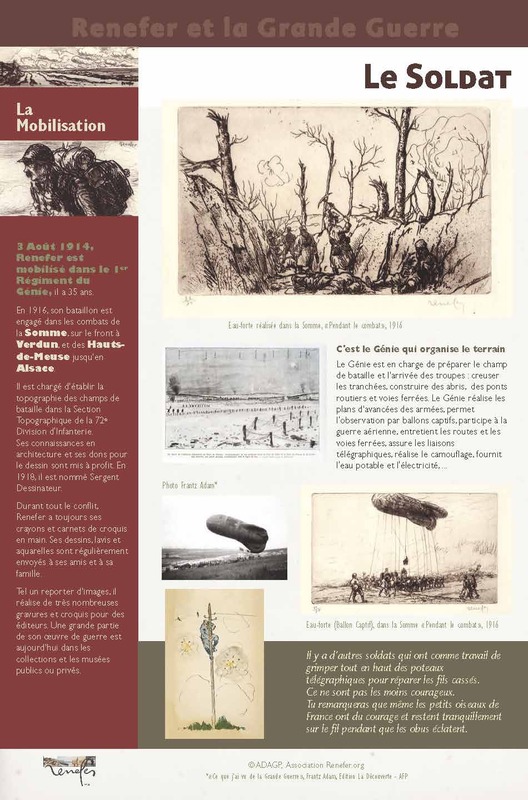 Renefer's illustrated letters from war ois presented on the France 5 web site on Verdun, allowing the public to better understanding of the life of Les Poilus in the trenches. Correspondence et artwork of the Great War, 1914-1918, were exhibited at Andrésy (Yvelines, France) and at Chanteloup-les-Vignes for commemoration of the armistice on November 11. Restoration of Black and White film made in 1957 Renefer's friend and fellow painter,Claude Naudin, and production of the film "Wandering trough Andresy with Renefer in 1957" (co-production with François Colin). Sequences Edition, (Print at Rézé (44) in 2003 by Séquences). Museum of Montmartre (Paris) presented Renefer's World War 1 artwork during the exhibition : "La Guerre des Crayons", about the children's drawings during the Great War. Creation of The Renefer Association. The Renefer's Catalogue Raisonné* is being prepared for publication. This volume will compile his complete works : paintings - drawings - engravings. Be assured that the information you provide is confidential. When the catalogue raisonné is published you may be listed as an anonymous owner. If you do not wish to be identified as owner of the work(s) you list, please request anonymity upon submission of the information about each work. In 1918, Renefer makes the first illustrated edition of Le FEU more than 100 sketches and engravings, directly fom the tranches. The association can manage the "Renefer, Great War artworks and correspondance" exhibition for you. * A catalogue raisonné is a complete and annotated listing of the works of a particular artist. It provides information such as title,medium, size, owner, gallery, collection, and/or exhibition. It includes details about the provenance and present condition of each work.